Possession Studios™ has been providing graphic design and photography services since 1991. Our specialty is in catalogs, direct mail materials, packaging designs and website solutions. With an emphasis on professional photography, illustration and layout. Now offering social media and SEO management support! Specializing in the following industries (but not limited to): Hand Tools, Construction, Safety, Firearms, Automotive, Motorcycle, Scale-Model Hobby. Our website responsive interface designs include advanced WebDNA programming, as well as JAVA and CSS to give the best look and highest cross-platform UX functionality available to your customers. The websites we design feature "Content Management System™ (CMS)" for remote content control. This CMS functions lets our customers to connect to their website from any web browser (including smart phones and tablets) and make changes to the content of the website at any time. Plus full social media integration and SEO management to help promote your online home. Our award winning catalog production services are world class, with over 200 published catalog titles. Then we can help develop a "Catalog Development Solution™ (CDS)" program for your company. The CDS Program, is our method of managing catalog projects which includes accurate time tables and production goals, to let us see the overall goal of the catalog so that the goal can be reached for the lowest cost and reap the highest pay back (ROI) for our customer. We can also create supporting marketing materials, such as magazine ads, fliers, promotional items and signage. 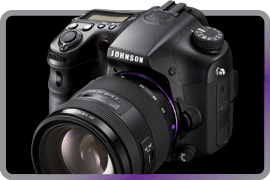 We offer a variety of photography solutions for your projects. We offer high quality photography. Plus we offer both digital and hand illustrating services. We are experienced in still life drawing and custom concept illustrations. With our long track record of marketing implementation, which would not be possible if not for our strong understanding of asset management and internal organizational skills. We can help you establish your own marketing resource management system, or we can manage your marketing assets for you. 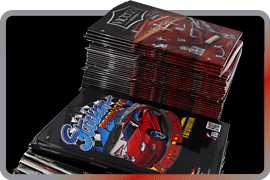 With over two hundred catalogs produced and over thirty magazines, let our experience help you! We have created so many magazine ad's, newspaper ad's, fliers, booklets and websites over the last twenty years, even we lost count. *Qualifying catalogs are all a minimal of 64 pages ranging up to 1,416 pages, commercially printed and bound. Contact Us For Help With Your Next Project!